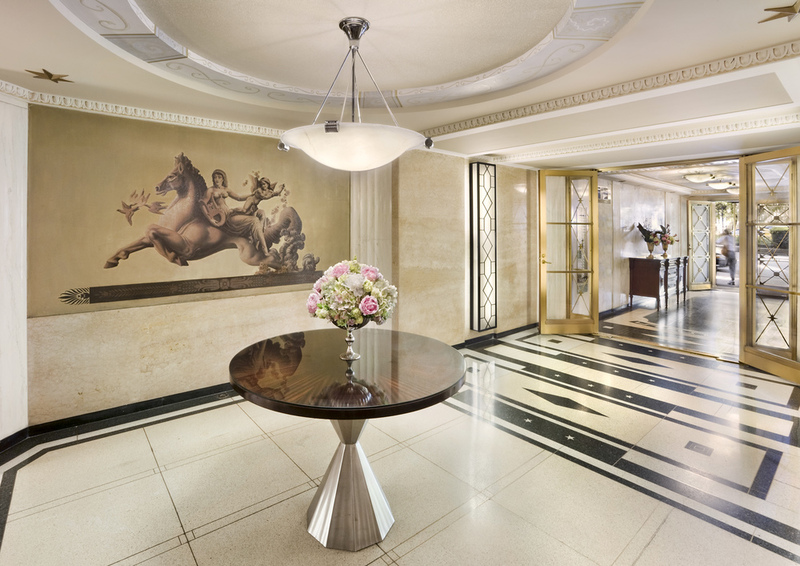 737 Park Avenue, built in 1939, has a lobby that reflects many of the period’s Art Deco detailing. 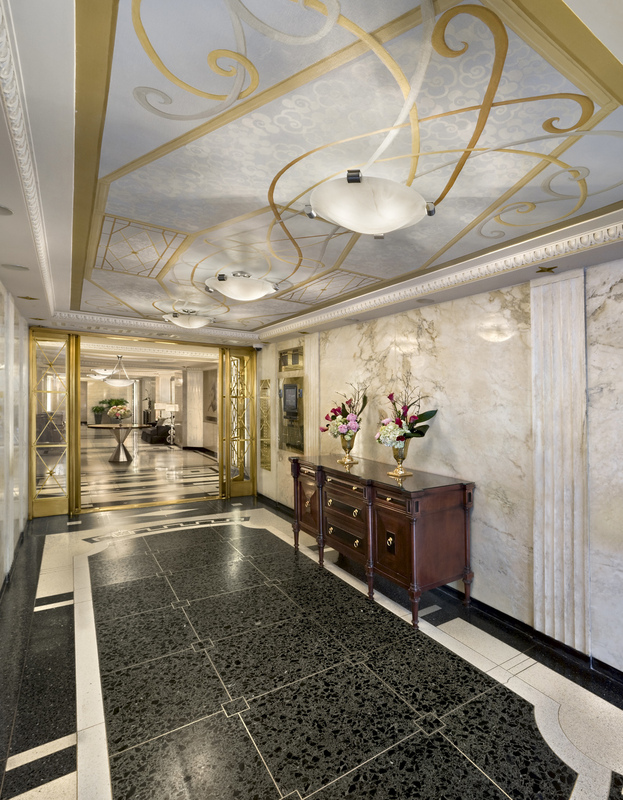 TPD respectfully renovated and restored the lobby to its original glamour, enhancing the period details, lighting, furnishings and finishes. 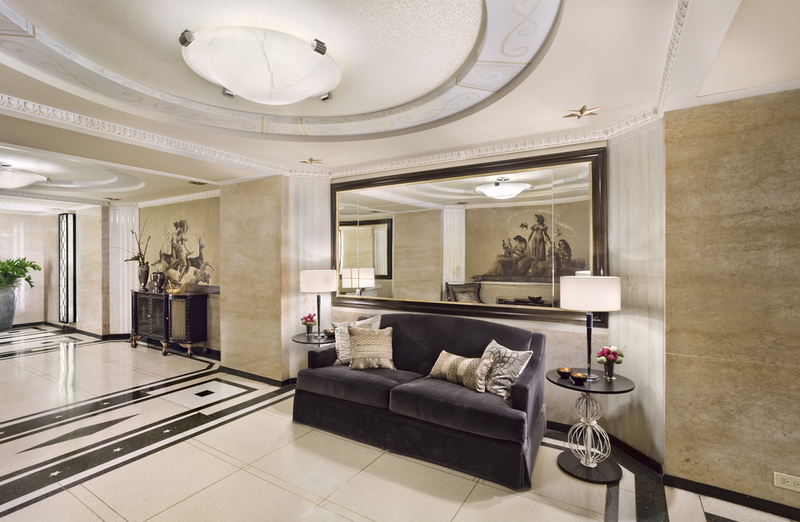 New Art Deco inspired ceiling murals were designed and created to dramatically enhance and activate the lobby entrance. The existing wall murals were restored to historic accuracy. 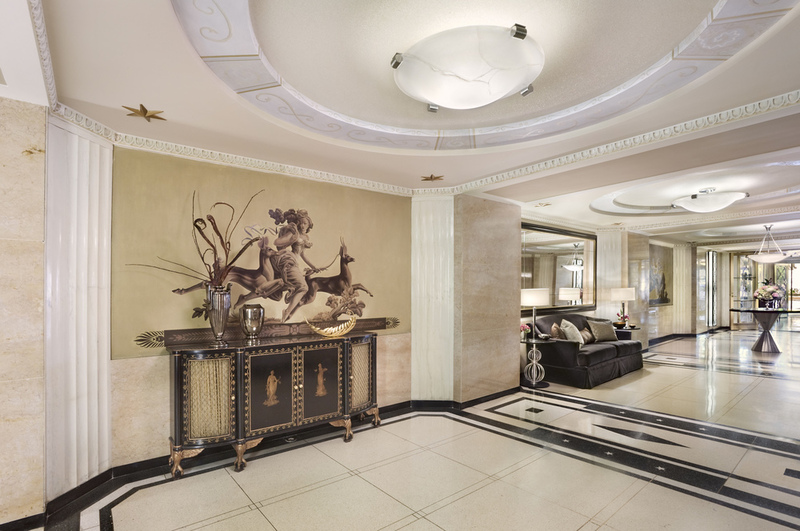 All ceilings were repainted to highlight the original decorative plaster features. 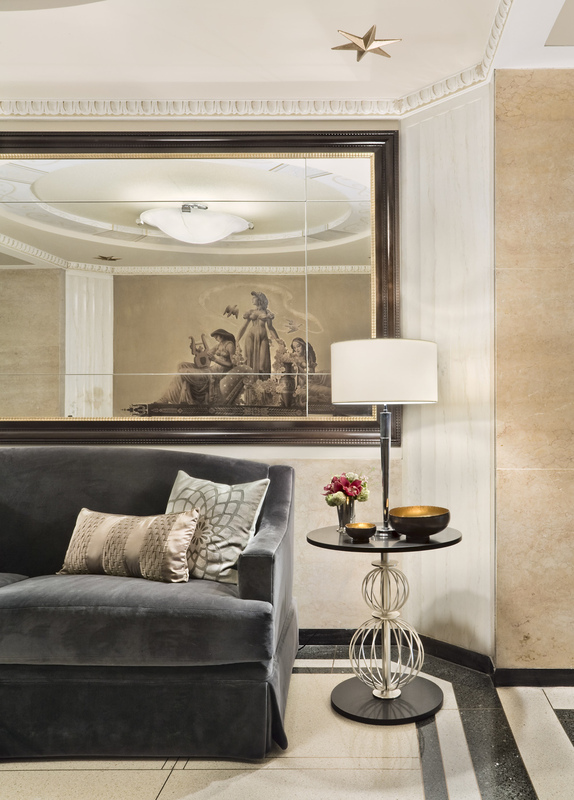 Original furnishings were restored and new furniture, fabrics and lighting were selected to reinforce the integrity and history of the original lobby interiors. 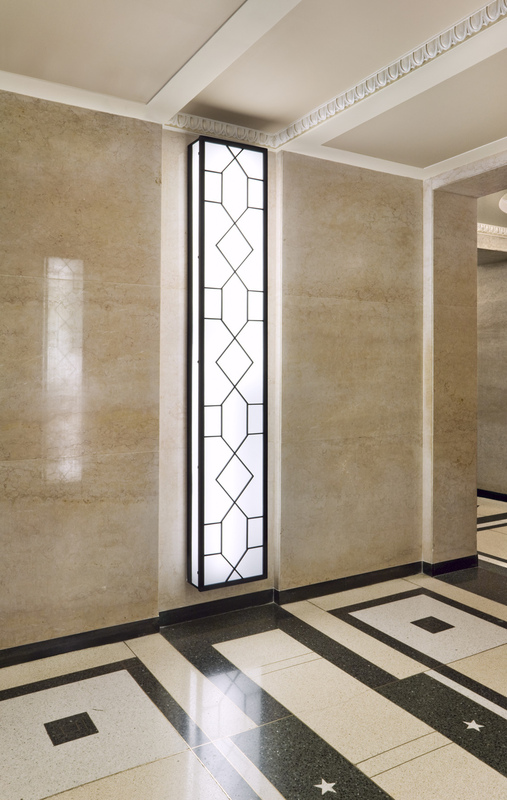 TPD designed custom wall sconces to add light to previously dark areas, introducing Art Deco tracery motifs and utilizing modern, energy efficient technology. 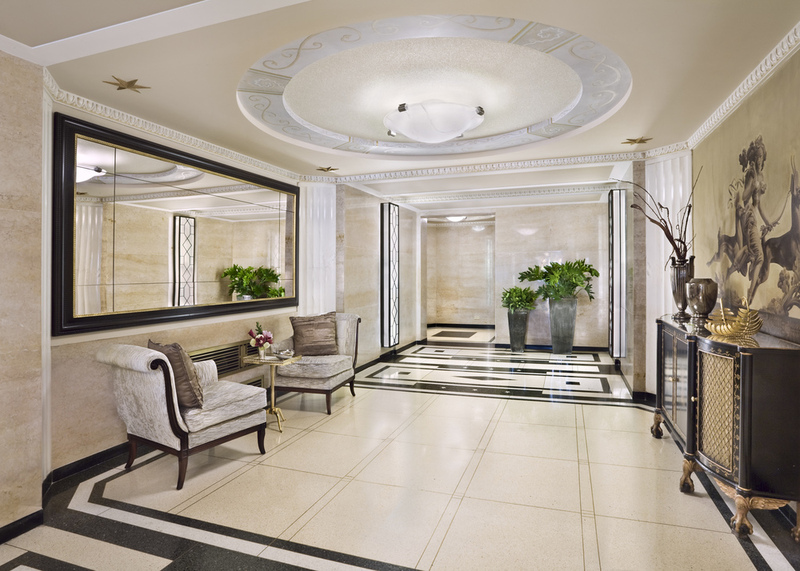 The overall effect is a graceful and elegant space reflecting the sophisticated style and unique character of this Park Avenue building.